The move has both shocked and baffled the world of conservation. The world’s biggest market for ivory, China’s recent (2017) ban on all commerce in ivory was welcomed as something of a game changer in the fight against the rapid decline in African elephant numbers, and helped recast the country as the region’s leading advocate of wildlife conservation. Enforcement of the complete ban was apparently so successful as to persuade traditional medicine practitioners to seek alternatives to rhino and tiger parts. A 2007 TRAFFIC survey found that ‘less than 3% of 663 medicine shops and dealers in 26 Chinese cities’ admitted to stocking tiger bone. Applauding the upholding of the ban, it concludes that there is ‘little tiger bone available in China’ and that, ‘with regard to traditional medicine, China’s policy is achieving its goal.’ In 2010, both rhino horn and tiger bone were removed from the Chinese Medicine Society’s list of approved products. Crazy, one would have thought, to undo all this good work. Assurances with regards to the change not affecting progress made fail to convince. All the research shows that lifting bans – partial or otherwise – results in an upsurge in demand for wild animal products. Consumers prefer wild to farmed products, while legitimate farmed products face being undercut by more cheaply-sourced wild products. In addition, if relatively large numbers of tiger have been raised in captivity, the number of farmed rhino in China is low, begging the question as to how suppliers will meet demand. Both South Africa and Swaziland have legal exemptions permitting commercial trade in live rhino (CITES Appendix II). Domestic trade in farmed rhino horn is legal in South Africa. Increased demand will increase pressure on African states and CITES to make further concessions, perhaps to an international trade in legally farmed horns. ‘The resumption,’ says Margaret Kinnaird of the World Wildlife Fund (WWF), ‘of a legal market for these products is an enormous setback to efforts to support tigers and rhinos in the wild’, a view reflected on the ground, with conservationists in northeast India and southern Africa preparing for the worst. Truth is, signs of a change in official policy have been there for sometime, despite its reported success. The tone and final call to actions, for example, of the abovementioned TRAFFIC report is indicative of deep concern. 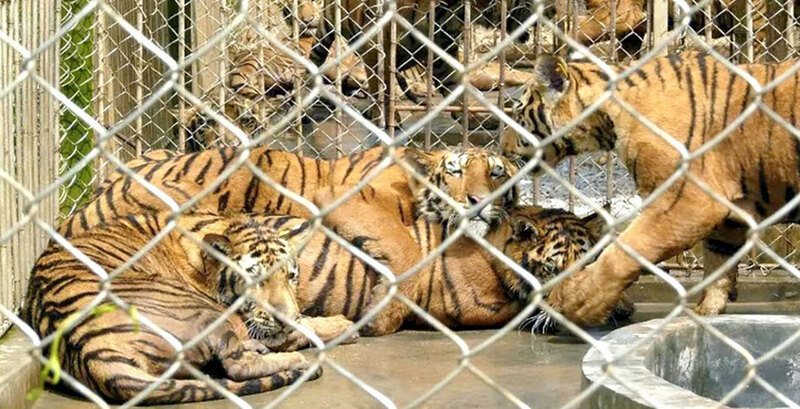 It champions China’s efforts on the one hand, and on the other catalogues the relative lack of success the authorities have had in reintroducing tigers into the wild. Consistently warning against acquiescing to tiger breeder petitions for a relaxing of the ban, it recommends that intensive breeding programmes halt, and that tiger carcasses are destroyed. Meanwhile, notwithstanding TRAFFIC’s upbeat assessment regarding low incidents of tiger bone, consumer behaviour in China remains complex. A survey conducted the following year found that while the vast majority of respondents supported the ban, 43% admitted to buying product pertaining to contain tiger bone. 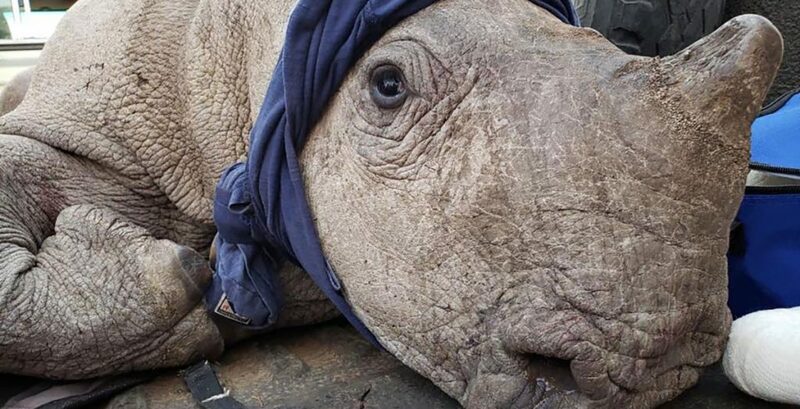 At the same time, official investment in traditional Chinese medicine gathers pace, a move that includes the ramping up of rhino breeding programmes, despite the ban on commercial activity, and the ruling that all stockpiled product is sealed. Nearly a decade later and a report by Elephant Action League paints a grim picture: a Chinese black market awash with rhino horn and other illegal wildlife product – findings that chime with the concurrent rise in numbers of poached southern white rhino. This, I would suggest, is the reality Lu Kang speaks of, one perpetuated by a mixed message approach to wildlife conservation. All in all, the partial lifting of the ban is a massively retrograde step, though not, I imagine, a surprise to those who have been following the lobbying efforts by breeders to effect a change in policy. Propagating the scientifically unproven medical merits of rhino horn and tiger bone, it stokes the market, serves the interests of the very few, and effectively invites illegal supply (for a demand the farming of tiger and rhino is unlikely to meet) through the laundering of wild product. With wild tiger endangered and southern white rhino numbers declining at an alarming rate, it spells disaster. *Following the international outcry, China postponed lifting the ban on October 27, 2018. If you would like to find out more or would like to help, please get in touch with either Will Jones or Paul Herbertson. Top image: Rhino 911 / Mankwe Wildlife Reserve, South Africa, a young rhino being translocated to a rhino orphanage; bottom image: Belinda Wright / Wildlife Protection Society of India, Tigers in captivity in China.